Republican strategist and former Trump adviser Roger Stone said Tuesday he was not involved in former campaign aide Sam Nunberg’s freewheeling media blitz before, during, or after the fact. Stone also said that he had no prior knowledge of WikiLeaks’ disclosures during the 2016 presidential election. “There is one trick that’s not in my bag – that’s treason,” Stone said. But he backtracked when he was asked whether he believed, as his statement implied, that it would be treasonous if the Trump campaign was found to have worked with Russia during the campaign. “I don’t think so, because for it to be a treasonous act, Assange would have to be provably a Russian asset and WikiLeaks would have to be a Russian front, and I do not believe that is the case,” Stone replied. Roger Stone, the longtime Republican strategist and former adviser to President Donald Trump’s campaign, distanced himself Tuesday from former campaign aide Sam Nunberg and recent revelations about his own communications with the radical pro-transparency group WikiLeaks. Nunberg went on a bombshell media blitz Monday, during which he told reporters he was not going to cooperate with the subpoena special counsel Robert Mueller sent him last week. Nunberg said Mueller had subpoenaed his communications with ten witnesses, including Stone, and attempted to flip him against Stone. After denigrating several witnesses in the Russia investigation and touting his friendship with Stone, whom he views as a “mentor,” Nunberg said he would refuse to comply with the document requests. 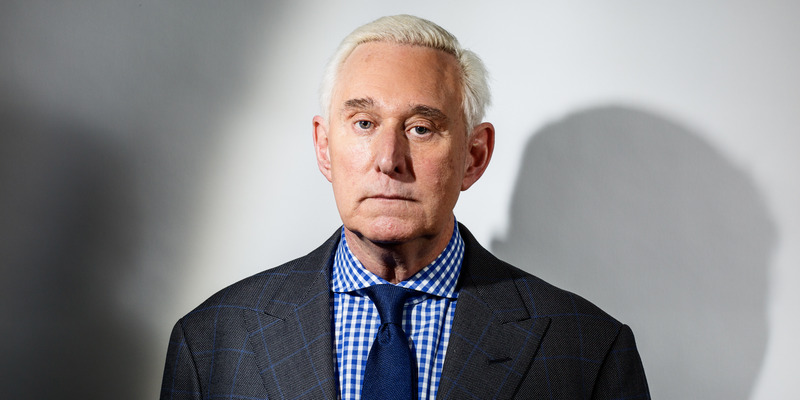 Stone found himself in the headlines last month, after The Atlantic reported that he was in direct communication with Wikileaks weeks before the US election in November 2016. Stone was referring to radio host Randy Credico, who Stone said acted as an intermediary between himself and WikiLeaks founder Julian Assange. Stone invited heightened scrutiny after he sent out a series of tweets in 2016 that raised questions about whether he knew in advance that WikiLeaks was planning on publishing Hillary Clinton campaign manager John Podesta’s hacked emails. “Wednesday @HillaryClinton is done,” Stone tweeted on October 1, 2016. “I have total confidence that @wikileaks and my hero Julian Assange will educate the American people soon #LockHerUp,” he tweeted two days later. On October 7, WikiLeaks released a batch of Podesta’s emails. While the organisation describes itself as a non-partisan group, CIA director Mike Pompeo described WikiLeaks as a non-state “hostile intelligence service,” and the US intelligence community believes WikiLeaks to be a tool of the Russian government. In addition to WikiLeaks and Assange, Stone was also in touch with the Russia-linked hacker Guccifer 2.0, who is said to be a front for Russian military intelligence. He added that he did not predict that Podesta’s emails would be hacked, but rather that “his business activities would come under scrutiny – his time in the barrel.” He later clarified that he was referring to both John Podesta and his brother Anthony, who spearheaded the lobbying firm, The Podesta Group, until it was forced to shutter after becoming embroiled in the Mueller probe. It also emerged in recent weeks that Mueller is asking witnesses about whether Trump had any knowledge of the DNC hack or WikiLeaks’ subsequent disclosures prior to their occurrence. In particular, the special counsel is said to be focusing on Trump’s infamous statement during a July 27, 2016 press conference, during which he asked Russia to find the 33,000 emails Clinton wiped from her private server while she was under FBI investigation. Asked whether he had suggested that Trump make the statement, Stone replied that he and Trump had not discussed the WikiLeaks disclosures before, during, or after the election. “You’ve never had a discussion about Hillary Clinton’s emails with him at all?” Todd asked. Todd then asked Stone whether he believed, as his previous statement indicated, that it would be treasonous if any members of the Trump campaign “worked with” the Russians to hack and disseminate Democratic emails. But when Todd asked Stone whether he believed it was possible WikiLeaks and the Trump campaign coordinated on the release of the emails, Stone doubled down on his earlier statement, saying he had “no knowledge” of the matter and did not make any such claim. When asked whether he believed Russia attempted to interfere in the 2016 election, Stone echoed Trump.